Korean reprint of 1959’s book of photos by Chris Marker. Over 120 black-and-white photos of North Korea with illustrations from maps, comic books, street posters and paintings. This book was the result of a trip to North Korea. Coréennes explores Marker’s innovative, “seamless moving in-between media,” defying boundaries between still photography, cinema, the novel, historical accounts and the travelogue. “Rarely has an artist authored so many disparate masterpieces” (Afterimage). Preceding his best-known work La Jetée (1962), which was a series of still photographs cast as a short film, Marker’s Coréennes in many ways inverts that format—here casting a film in a series of still photographs and text. So far, the only way I know to get the original French text of Coréennes is to get your hands on a copy of the first French Immemory CD-ROM. The version currently available at Wexner is English only. At least it works on OS X, but sadly it is translated. I’m somewhat disappointed that the French do not take better care to diffuse the work of one of their most important artist. ARTE has done a good job so far of publishing Marker DVDs (and not all in Region 2! ), but the book world is sorely lagging behind. Indeed! Seuil, what do you seuil? How about a boxed set reissue of the Petite Planète series? That would be something. And of course there are those who perceive, dimly in the future, a Commentaires 3, part of which we did of course receive in Le fond de l’air est rouge (book version – my uninformed guess OOP now, and I can’t seem to find my copy, strange… must have loaned it to Alice again…). Book version of Le Fond de l’air est rouge???? Are you kidding me? I want that! Not kidding! Here’s the scoop: Marker, Chris. Le Fond de l’air est rouge: Scènes de la troisième guerre mondiale 1967-1977. Paris: Maspero, 1978. I just discovered that François Maspero also published a novel called Cat’s Grin. Founder of leftist magazines Partisans and l’Alternative, author of books opposing French colonialism, Maspero turns to fiction with this semi-autobiographical novel based in the crucial year 194445 for 13-year old Luc (“Cat”) Ponte-Serra. Skinny, spunky Cat idolizes his older brother Antoine, active in the maquis; together they raid for food stamps. But Antoine disappears after shooting German officers, and joins the Allies. Cat’s parents are deported. Cared for by relatives, befriended by Diane, a cafe waif who has fled from her bourgeois collaborationist family, Cat fights off the images of horror that assail him as he waits and hunts for those he loves. First-hand accounts of civilian suffering and resistance, the unquenchable fight for a free France in the last year of WW II both in Paris and the provinces and unflinching revelations about the death camps make Cat’s Grin a moving personal document. 1955 : François Maspero opened a library in the Latin Quarter (Paris). 1959 : he created the Maspero publishing house, with two collections particularly focused on the Algerian War, from an anti-colonialist perspective, and contestation of the French Communist Party’s stalinism. 1970 : Les Mots ont un sens / The Words have a sense : a François Maspéro’s portrait. Produced by SLON and conceived by his friend Chris Marker in a magazine of against information spread in the unofficial circuits. 1984 : Cat’Grin : a very good novel – where we understand why it’s difficult for the young hero of the book to learn to smile after the war. 2004 : The cats of the freedom, an excellent tale with the Chris Marker’s DVD Chats Perchés / The Case Of The Grinning Cat. I don’t know if it’s translated. 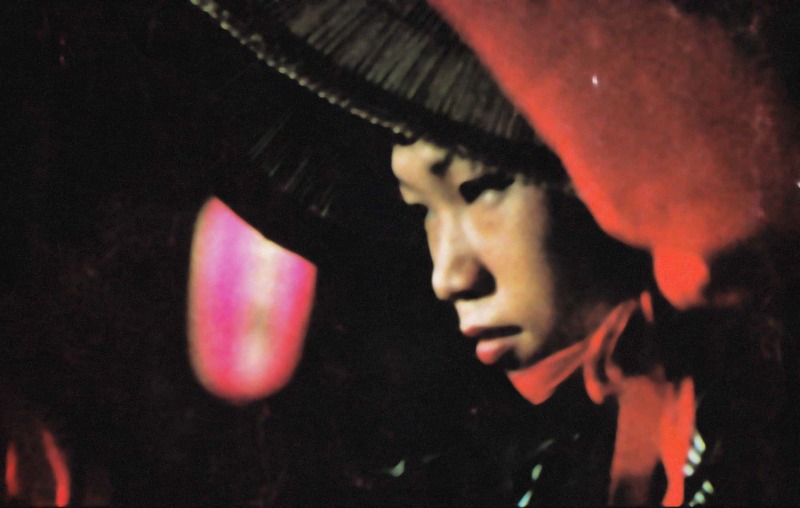 I want Gallimard or the Seuil to publish a complete works of Chris Marker.